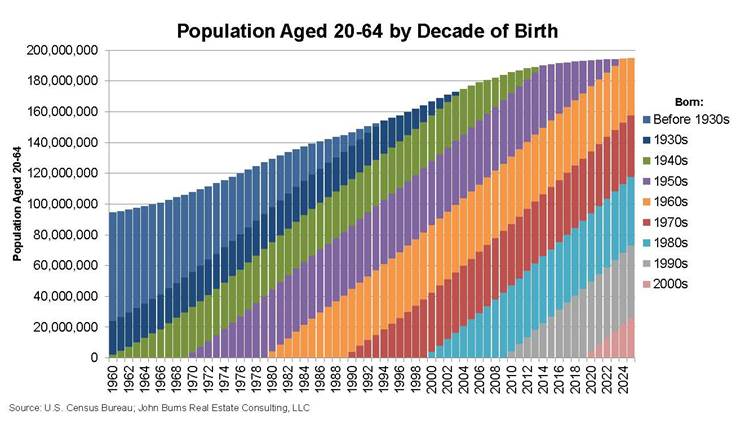 More people were born in the 1950s (41 million) than in any other decade, and they are dropping out of the workforce in droves. Those born in the 1950s will begin turning 65 in 2015. 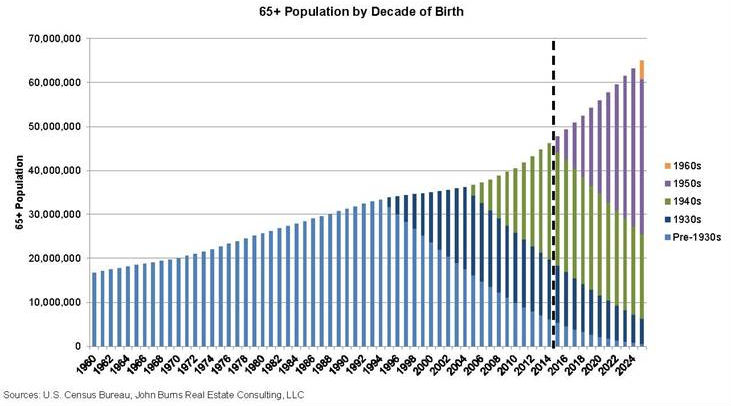 In fact, in the last 10 years, we have transitioned from roughly 2.5 million US residents per year turning 65 to 3.5 million per year, and that number will trend up to almost 4.5 million by 2025 before it starts trending down again. This seismic shift will have a huge impact on the economy, as the traditional working age population of 20–64 will transition from growing 1.0 percent per year for decades to growing 0.25 percent per year. 20- to 64-year-olds earn and spend the most, so you can almost guarantee that the economy will grow more slowly than it has in the past. 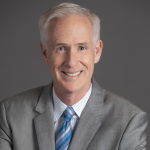 While the economic growth will be slower than usual, and the burdens on Social Security will skyrocket, entrepreneurial opportunities will abound to serve an unprecedented surge in retirees who, by the way, also happen to be the most affluent retirees ever. My big idea for 2015 is to plan for a slower growing pool of workers and to take advantage of the surge in retirees, no matter what your business. Here is a nice clip from CNBC discussing the success home builders are having targeting retirees, even in non-traditional retirement markets such as Atlanta. This column first appeared as my monthly Influencer column on LinkedIn.